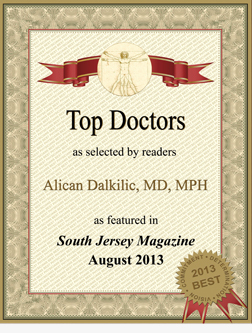 Dr. Dalkilic (Dr. Dal) has been a Diplomat of the American Board of Psychiatry and Neurology since 2000 and has been practicing psychiatry in New Jersey and the Greater Philadelphia area. He specializes in the treatment of eating, anxiety, bipolar and depressive disorders, as well as psychopharmacology. He has been a Clinical Professor of Psychiatry at Cooper Medical School of Rowan University and an Associate Professor of Clinical Psychiatry at Temple University School of Medicine, Department of Psychiatry. 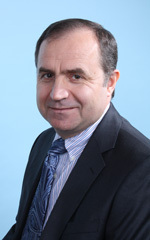 Dr. Dal graduated from Psychiatry Residency Training Program of Yale University in 1999 and is a graduate of Marmara University School of Medicine, Istanbul. He began his MPH training at Yale University School of Public Health and obtained his MPH degree from George Washington University, School of Public Health and Health Services, in 2002. He was selected and participated in the 2008 Future Leaders in Psychiatry Program organized by Emory University, while practicing psychiatry at Virginia Commonwealth University, School of Medicine, as an Assistant Professor of Psychiatry (2005-2009). Dr. Dal has presented at the national meetings of the American Psychiatric Association and has been an invited speaker at international conferences on psychiatry. He has published in peer reviewed journals, taught and trained psychiatry residents and medical students, and conducted clinical medication trials. He has treated hundreds of individuals with various psychiatric conditions and consulted on complex and treatment resistant cases. 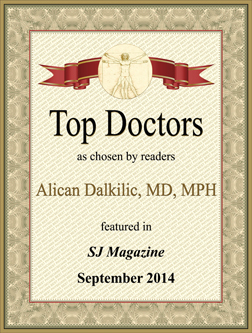 Dr. Dal also publishes useful and insightful information for readers at: . He has the knowledge, expertise, and experience necessary to assess and address a broad spectrum of psychiatric conditions, developing and implementing comprehensive treatment plans to help his clients and their families. Dr. Dal aims to provide evidence based, personalized, and high quality healthcare. He believes a physician should constantly strive to improve the physical, mental, social, and spiritual health and well-being of his clients. 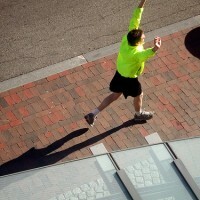 Copyright © 2012 DrDal.com 900 Kings Hwy N Ste 206, Cherry Hill, NJ 08034 Tel: 856.208.7300 Fax: 877.620.3085. All rights reserved. Dr. Dal is a board certified Cherry Hill, Moorestown, Marlton, Voorhees NJ Psychiatrist (Zip codes: 08057, 08002, 08003, 08043, 08053). He offers psychiatry services to New Jersey adolescents/teenagers (14 to 19) and adults for Anxiety or Fears, Attention Deficit (ADHD), Bipolar Disorder, Career Counseling, Cognitive Behavioral (CBT), Depression, Eating Disorders, Family, Internet Addiction, Medication Management, Mood Disorders, Obsessive-Compulsive (OCD), Psychosis, Self Esteem, Thinking Disorders, Video Game Addiction. THE SITE DOES NOT PROVIDE MEDICAL ADVICE. If you think you may have a medical emergency, call your doctor or 911 immediately. The contents of DrDal.com, such as text, graphics, images, and content are for informational purposes only. The Content is not intended to be a substitute for professional medical advice, diagnosis, or treatment. Always seek the advice of your physician or other qualified health provider with any questions you may have regarding a medical condition.